A review of Banner Health Insurance Company finds that Banner Health is actually not a health insurance provider but instead a healthcare provider. The company provides healthcare to patients regardless of their financial status. 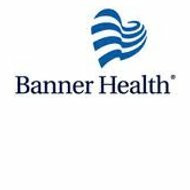 Banner Health is deeply committed to providing excellent patient care and is one of the largest non-profit healthcare systems in the country. Looking for health insurance? Get health insurance quotes by entering your zip code here. Banner Health is based in Phoenix, Arizona, and operates in seven states: Arizona, Alaska, California, Colorado, Nebraska, Nevada, and Wyoming. The company operates 23 hospitals and other facilities, including rehab centers and laboratories. Additional contact information is available on Banner’s comprehensive website, which lists phone number by state and facility. If you are a resident of Maricopa County or select areas of Pinal County, in Arizona, and eligible for Medicare, you may be able to apply for Banner’s MediSun Medicare Advantage plans. The plans offer different coverage services and different fees. The best way to find out more or to sign up is to walk into a local office or call the local numbers on the website. Banner offers basic medical and emergency services at all of their facilities. Additionally, the non-profit company offers specialized services such as heart care, cancer care, pediatric care, organ transplants, Level 1 trauma service, rehabilitation, and behavioral health services. Banner is involved in cutting-edge research to study and treat Alzheimer’s and other medical conditions at its Banner Sun Health Research Institute and Banner Alzheimer’s Institute. Other treatments and services performed by Banner Health physicians, nurses, and other employees are bariatric surgery, maternity care, hospice care, pediatrics, behavioral health, home care, and burn treatment. Banner has specialists in women’s care, transplant services, orthopedics, surgical care, and rehabilitation, among other medical specializations. Banner also is a provider of poison and drug information. Banner Health is the largest private employer in Arizona, and has more than 35,000 employees across all of its locations. The company has garnered many awards, including being voted one of the “Best Places to Work” in the metro Phoenix area by the Phoenix Business Journal and BestCompaniesAZ in 2010, and “one of the most admired” companies in Arizona by Arizona Business Magazine and BestCompaniesAZ in 2010. There is a lot of information about applying for a position with Banner Health on the non-profits website, including testimonials from current employees, a searchable job database, and an online application. The site also lists in what facilities there are currently job vacancies, and which careers are currently in demand. Additionally, the company offers an assistance program that includes counseling and crisis intervention. While Banner Health is a comprehensive healthcare provider, they only provide insurance coverage to a specifically targeted audience. To get health insurance quotes that fit your needs, simply type your zip code in the box below. My brother has been put through the ringer by Banner MediSun. He’s disabled and signed on with them as a supplement to his Medicare. What a scam. He’s been on the phone all day trying to get care and they will not help him. His current care provider lied and said he’d been dropped from his care roster for 8 months, when my brother was just there in his office for treatment a scant two weeks ago. DO NOT waste your hard earned cash on this shameful program. They don’t cover a lot of situations (he needs physical as well as mental health care) and they lie to you to get you to sign up. STEER CLEAR of Banner Medisun. This complaint is on billing and pre-certs. It doesn’t matter what you Need no one calls you back. Not the Dr office, hospital, banner. In fact, the only call I received after 2 months was from anthem BC also telling me they were getting nowhere with banner. Simple fixes worth over $4500 to hospital and Dr and no one seems to care. Not a supervisor, office manager, or banner.